The Trump-inspired boycotts are starting to go too far. So Do We Have to Boycott Everything Now? Consumers are right to hold companies accountable for dealing with the Trump administration. They should leave the sandwich-makers alone. When Casey Patten, co-owner of the popular D.C. hoagie chain Taylor Gourmet, visited the White House on Monday for a discussion on small business issues with President Trump, he probably didn’t think his customers would notice or care. It was hardly his first presidential photo op. In 2012, then-President Barack Obama visited a Taylor location during National Small Business Week to host a roundtable. The year after that Obama and then–Vice President Joe Biden stopped by a Taylor during the U.S. government shutdown to thank the chain for giving a 10 percent discount to furloughed federal workers. “This is an indication of how ordinary Americans are looking out for one another,” Obama said. 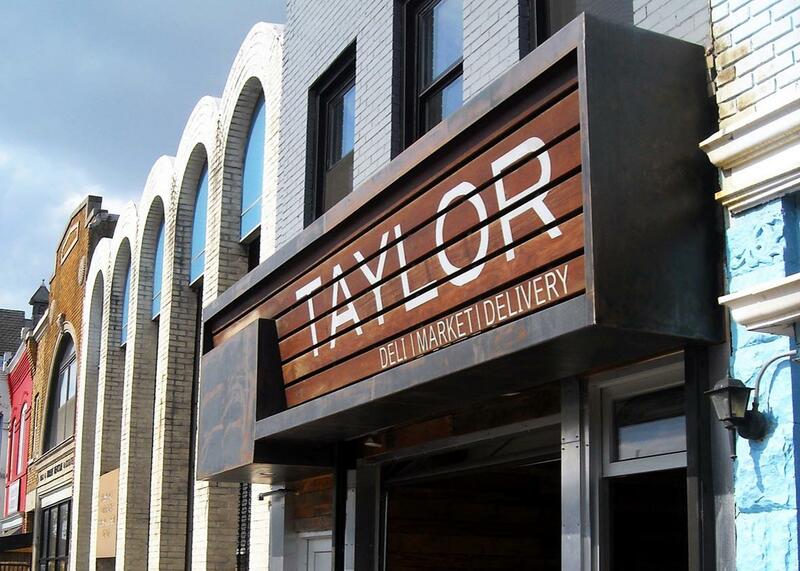 And @TaylorGourmet goes on the boycott list. No cooperation w/ this administration. None. They must be shut-out and ignored. Good luck with that. We’ve been living in the Trump era for less than two weeks, and Taylor is merely the latest of several companies to trigger a consumer revolt for running afoul the growing progressive outcry against the new administration. It’s simultaneously encouraging and more than a little exhausting. What does the conscientious shopper who is appalled by the new administration do when the president appears to like few things more than sitting down with CEOs and striking a deal? If we must #deleteUber and avoid Taylor, should we also use one of SolarCity’s competitors to install solar panels on our home? Like Uber’s Travis Kalanick, SolarCity chairman and Tesla CEO Elon Musk is a member of a Trump advisory panel. (Both men have spoken out against the Trump immigration ban, albeit more tentatively than other tech CEOs.) Lyft, meanwhile, counts among its investors Carl Icahn and Peter Thiel, both close to Trump’s inner circle. Should we delete Lyft, too? Then there was Trump’s Tuesday meeting with leading pharmaceutical executives from companies such as Novartis, Merck, Eli Lilli, Amgen, and Johnson & Johnson. Do you stop taking a prescription? Spend time researching a generic or alternative medication? As Shannon Coulter, the digital strategist behind the hashtag #grabyourwallet, recently put it, “Boycotting is as American as apple pie.” True, it goes all the way back to the Boston Tea Party. And it has a long history on the left, with the Montgomery bus boycott playing an essential role in the civil rights struggle and, more recently the Boycott, Divestment and Sanctions movement targeting the Israeli government. Coulter’s campaign is designed to highlight and discourage shoppers from patronizing companies that do business with Trump family enterprises. But boycotting has undergone a pronounced change over the past decade or so, and another over the last two weeks: It is now very easy to effectively call for a boycott; and we now have an administration that makes a lot of us want to boycott any company that comes within a whiff of its odor. But what point does boycotting pass from rallying cry of a productive resistance to an active impairment of that resistance’s aims? Consumers are right to challenge the actions of large corporations, not just to make a political statement but to encourage companies to act as alternative moral pillars when they feel their values are under assault. The viral potential of hashtag activism powered with the sting of focused boycotts can make a real difference: Whether or not Uber deserved its boycott in this particular instance, it tweaked its tune very quickly once users started canceling their accounts. But the new way comes with a serious downside: It doesn’t permit much time to consider what’s to be lost or gained by boycotting a particular target. That can lead to activist burnout, water down other boycotts’ efficacy, and cause harm to people whose offenses don’t merit this level of outrage. That latter category almost certainly includes Taylor Gourmet, which likely became a tempting target for a reason that’s harder for us to acknowledge. Taylor is an easy get. It’s not a multinational company with dozens of product lines. It doesn’t employ high-powered lobbyists. And it’s easy enough to find another lunch spot, though maybe not one offering our favorite hoagie. See, we’re giving something up for the cause! Boycotting a company like Taylor Gourmet makes us feel virtuous like we’re fighting back against a system and government we despise, when in fact we’re coming down on someone who committed a misdemeanor at most. And it leads to long-term drain: When we’re supposed to be angry at anyone who steps out of line in the slightest way, we’ll burn out while burning potential allies in the process. That’s not to say boycotts don’t work. They can be effective, and we should cherish the power to vote with our wallets. But they’re best when they involve a specific goal, a clearly articulated message, and a deliberately chosen target. In that regard, Taylor’s a little different: While anyone can like food that’s fresh and homespun, words and phrases like “seasonal fruits and vegetables” and “braised in-house” are appetite-whetters for a certain class of affluent urban progressives. And at any rate, 9 of out every 10 voters in Washington voted for Hillary Clinton in November. When Patten met with Trump, Taylor’s regulars felt betrayed. Fine: Patten probably should have thought twice about his customers before joining a Trump photo op, but give the guy a break. He’s a sandwich-seller, not a political activist. If you’re opposed to Trump, Patten’s almost certainly less deserving of censure than, say, the corporate titans who joined Trump’s business advisory council in the aftermath of the election. That group is due to meet with Trump on Friday, and you can expect that visit to receive significantly more media attention than Patten’s White House appearance. How do we want to handle them? If consumers are going to draw a line in the sand, they need to pause and think carefully about who belongs on the other side of it. Luckily, for Patten, not to mention Washington’s hoagie-lovers, the contretemps is unlikely to be fatal to Taylor Gourmet. News cycles will pass. But no doubt more business owners than Patten learned a lesson from Patten’s woes: Claiming apolitical status no longer suffices as a defense. Even the activities of a sandwich chain are political now.